Here is a great gift idea. 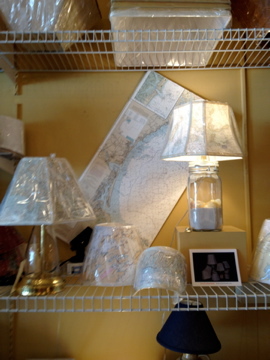 We can make these navigational map shades at Concord Lamp and Shade in Concord MA. If there is a special spot where you sail, or got engaged, or just love we can make the shade for you. It makes a very special birthday or wedding gift. This entry was posted in lamps and shades and tagged Beach house, Concord, Home, Home Improvement, Interior Decor, Summer house. Bookmark the permalink. ← Let’s Support Those Sox!